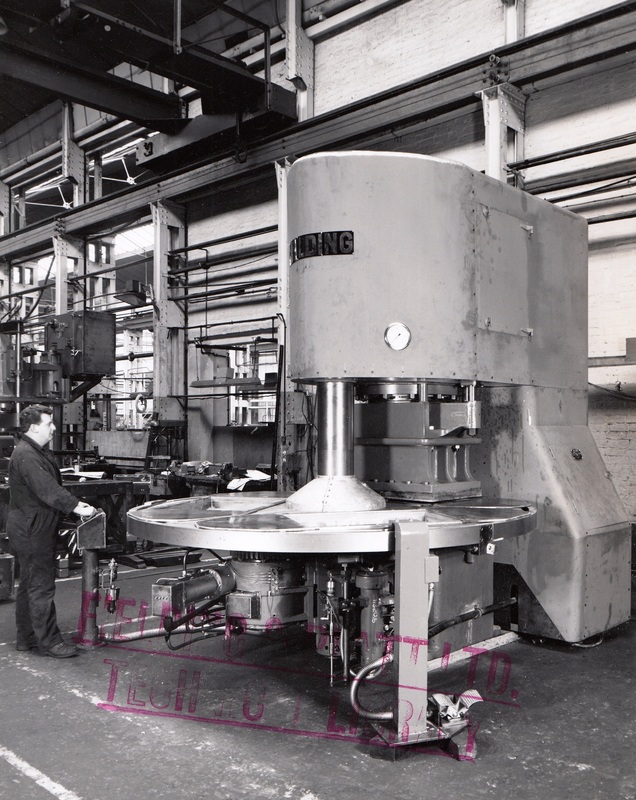 This was the period when most three mould and single mould slab presses were equipped with push button air control valves (mounted in the pedestal). These and other air valves mounted inside the rear panel sequenced the press operations and provided both single and fully automatic press cycles. Hi John! Would that be Terry Long at the controls?